10% discount on all labor. $5 discount on oil change. Locations in Walnut Ridge, Hoxie, Pocahontas and Bono. First order of checks free with new account opened by Sept. 30. Free student checking, online banking and ATM/debit card. Locations throughout Arkansas, including locally in Walnut Ridge, Pocahontas & Jonesboro. Open a Freedom checking account with student ID. Benefits include no monthly service charge, free online banking/bill pay, and a free VISA ATM/debit card. 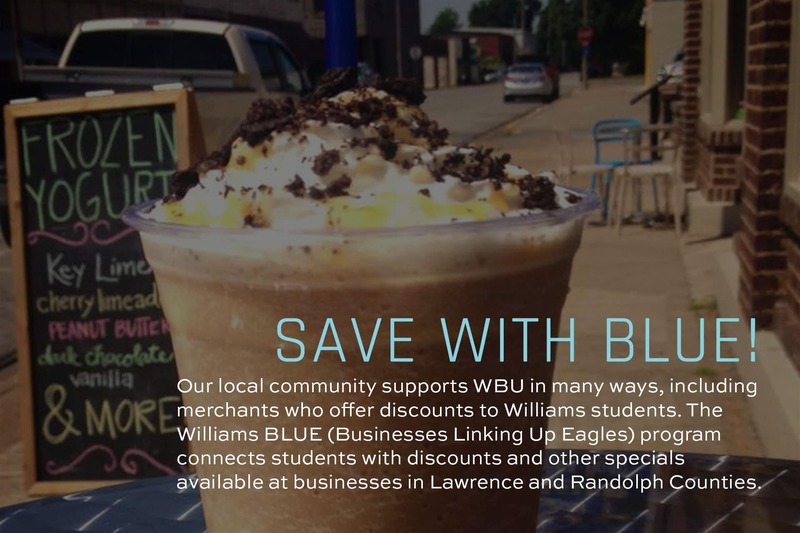 $10 iTunes card or free first order of checks when you open a WBU Student Account. FREE: Mobile & Internet banking, bill pay, and Visa CheckCard. Free: Student checking with online banking; online banking (24/7) with bill pay; mobile banking with text alerts. upgrade. Free quotes on new & used computers. 15% discount with cash payment. 20% off eyewear for students. 10% discount, excluding sale items. Free rose for first visit. 8am-5pm M-F & 9am-4pm Sat. 20% discount on cash visits. 15% discount on hair and tanning products. 10% off for one month. $2 off haircuts and $5 off perms and colors. 20% discount on hair and tanning. Free drink with dine-in buffet purchase. 10% discount on regularly priced menu items. Small French fries with purchase of sandwich. Large 1 topping for $8.99. Medium 1 topping for $6.99, or large 1 topping for $8.99.